Ajax is a new web technology which breaks page reload paradigm, it can send and retrieve data without reloading the whole web page, this primarily saves time and bandwidth . AJAX is taken as general part of any dynamic web page with advanced user experience, which has benefited from the more sophisticated functionality using easier-to-implement web standards. Due to its added functionality, this technology is proving to be a real alternative for creating powerful web applications. If you are looking for Ajax programmer, Ajax PHP developer/ Ajax .Net developers, please Contact Us. We have developed several dynamic Web Applications using Ajax. 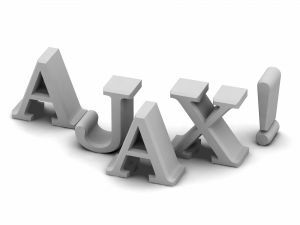 We can provide examples of Ajax web applications to show the effectiveness that Ajax brings to web application in various ways.